Netlify is never short on new and exciting features. At JAMstack Conf in New York City, they lived up to the hype again. 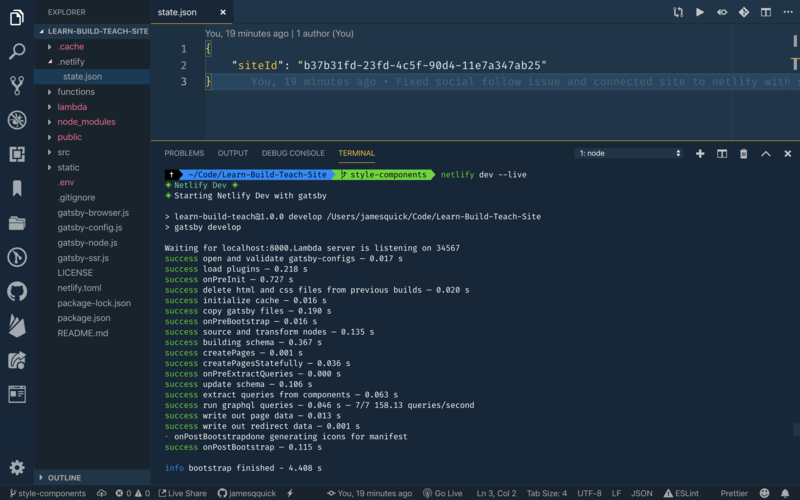 Netlify announced Netlify Dev, allowing you to "run [our] entire platform on your laptop". Let's see it in action. 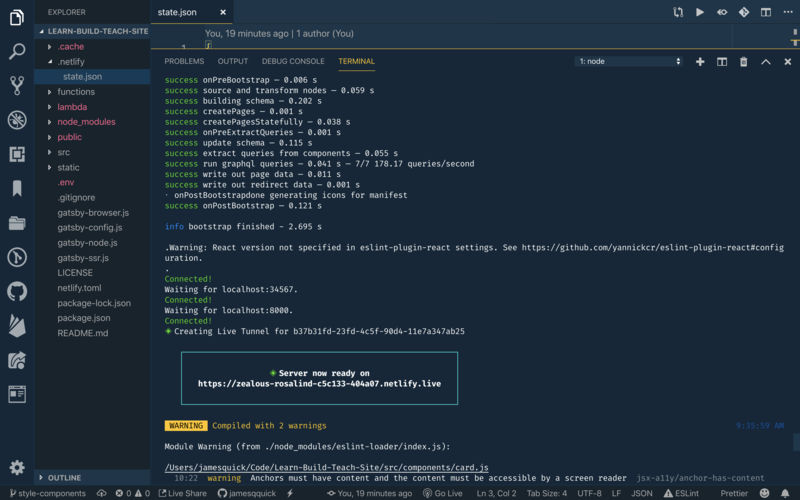 To use Netilfy Dev, you'll just need to add one npm package globally on your machine. If you already have this package installed you may need to update it. After running the command, you can see it figured out it needed to run gatsby develop to run my site. 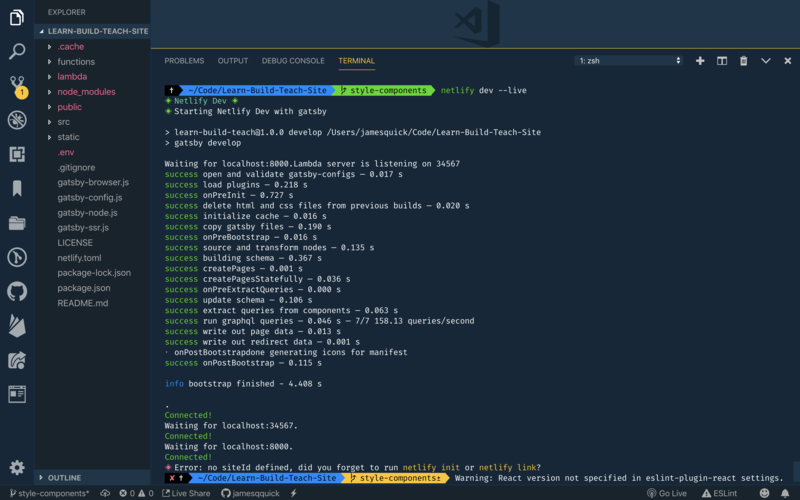 You could also run netlify init if you don't already have a site deployed on Netlify. Since my site is connected through my Github repository, I can tell it to do that. Another thing to notice in my logs is that it included an environment variable. 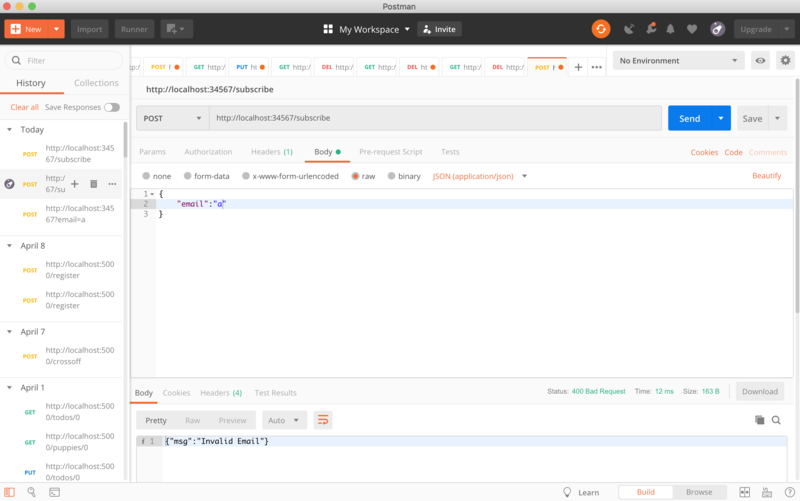 It's actually injecting that environment variables from the deployed website into the local build. I use this variable on my site to handle email subscribes. This means you might not ever need local environment properties defined. Another piece of the logs that we haven't touched on yet is the fact that my "development server" is available globally. 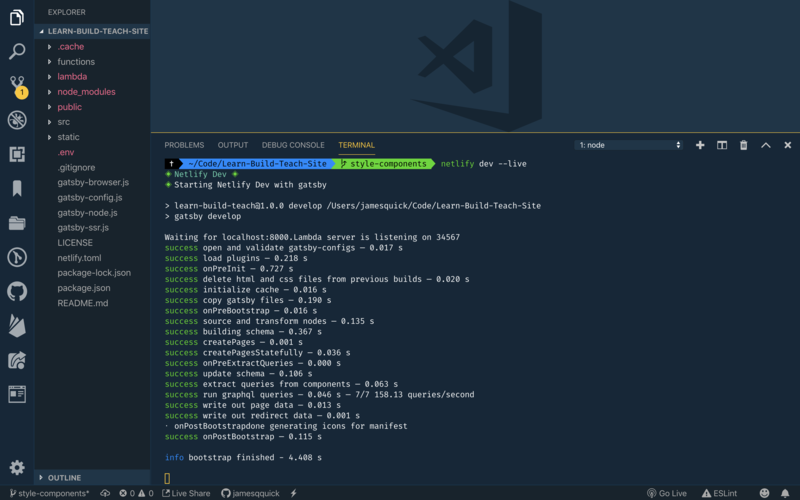 One last built in feature of using the netlify dev command from above is that is also runs/serves your lambda functions. If you look closely at the logs, you'll see two "connected" messages. 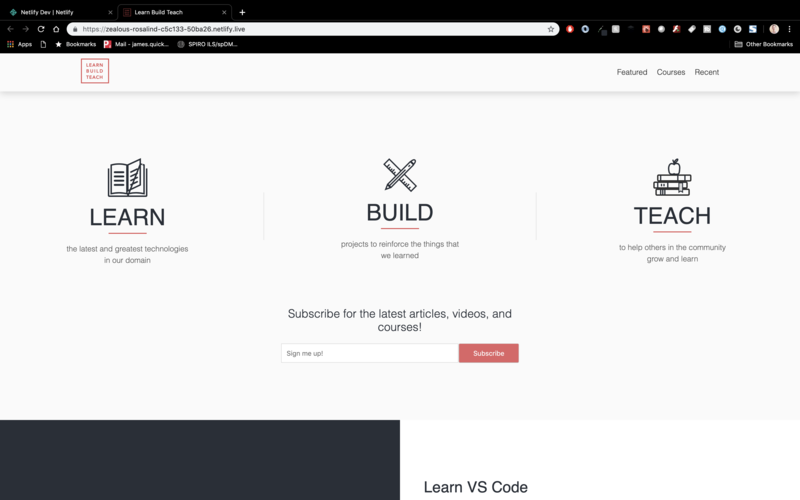 One is for your site and the other (the first one below) is for your Netlify Functions. Thanks to this I can no go to postman and test my subscribe function which accepts an email, validates it, and sends it off to Mailchimp to add to a mailing list. As you can see in the screenshot below (although it might be small), I sent a post request to localhost:34567 (the port for my Netlify Functions), and got a response back! Netlify continues to impress. 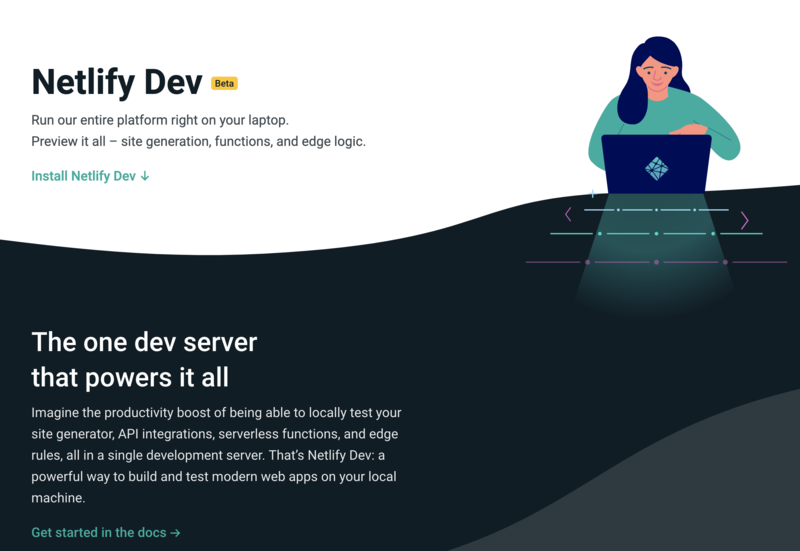 Netlify dev definitely has some awesome features that are exciting for the future of static site development. I'm excited to see where they go from here and how they continue to improve in everything they do and provide.